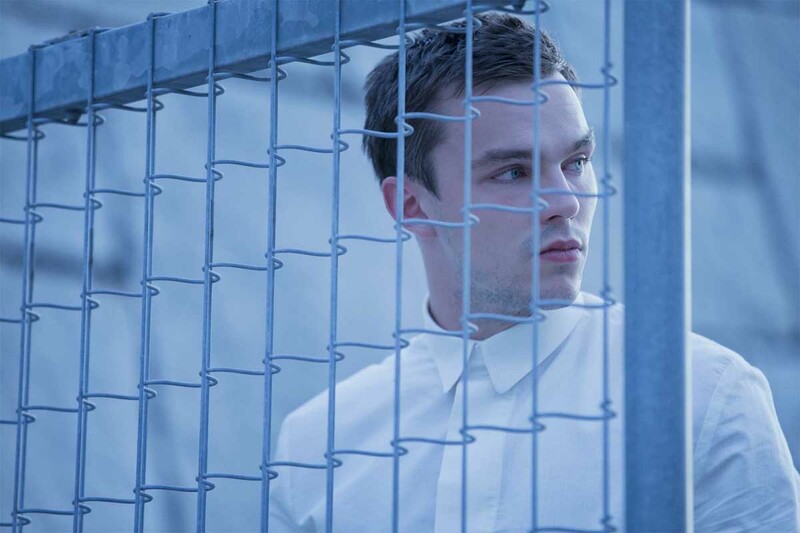 In the romantic science fiction drama “Equals,” Kristen Stewart and Nicholas Hoult play star-crossed lovers being watched closely by a Big Brother in a future where emotions are disabled to achieve a peaceful society. Produced by Ridley Scott’s production house, Scott Free and directed by accomplished filmmaker Drake Doremus, “Equals” is an emotionally and visually arresting film from a screenplay by Nathan Parker based on a story idea from Doremus. “Equals” is a nuanced, slow-burning love story, the film is set in a futuristic utopia where emotions have been genetically suppressed in an effort to protect society from the war and strife that has destroyed previous generations. On occasion, the suppression fails and emotions emerge in individuals – the Collective dubs this illness Switched On Syndrome, or SOS. As society is increasingly threatened by this health crisis, all SOS sufferers are heavily medicated or sent to the Den, a corrective facility from which no one returns. Kristen Stewart and Nicholas Hoult are Nia and Silas who encounter each other as colleagues at the science journal, Atmos. As Silas begins to experience the onset of SOS and his own awakening emotions, he finds himself inextricably drawn to Nia, who is hiding her own SOS. The longer they attempt to suppress their palpable connection, the more the tension fans the flames of their attraction. But with this newfound pleasure of intimacy, comes the threat of discovery and consignment to the Den. With the support of a group of like-minded SOS patients, they realize escape is their only option. While Doremus and Parker worked on the story and script night and day, producer Pruss and Scott Free strove to assemble the players necessary to push it into production. With the blessing of Scott Free production chief Michael Schaefer, the project attracted a group of heavyweight backers and the project’s journey to principal photography gathered momentum. Putting the project in front of Ridley Scott played a pivotal role in getting “Equals” made.